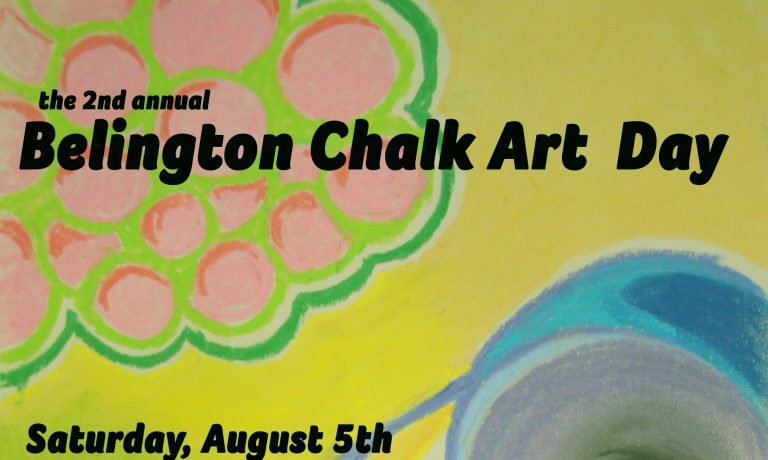 Belington’s 2nd Annual Chalk Art Day will take place on Saturday, August 5th, 2017 from 10am-3pm at the Old Music Store in the middle of town. Come see what others are creating or try your hand at creating public art with sidewalk chalk and color pastels. Last year, passers-by and participants of all ages left behind a rainbow of illustrations and patterns for all to enjoy — until the next rainstorm relegated the images to memories and photographs. Come be a part of temporary town beautification and community gathering. As happened last year, there will be both individual art pieces and collaborative areas for all to contribute. All ages are welcome and chalk will be provided. No one will win or lose and no money will be collected. Come celebrate summer, color, art and community with us!